Shironanami is a girl loves cosplay and showing, has the experience to buy many cosplay wigs and cosplay costumes, which can be found from her facebook pages, and youtube and other social network, this time we have received her wonderful reviews on the wigs she had bought from wig-supplier.com, which makes us really excited! And now let’s just have a look, and really hope it can be useful for anyone want to buy wigs or like cosplay! “I bought two wigs from l-email. 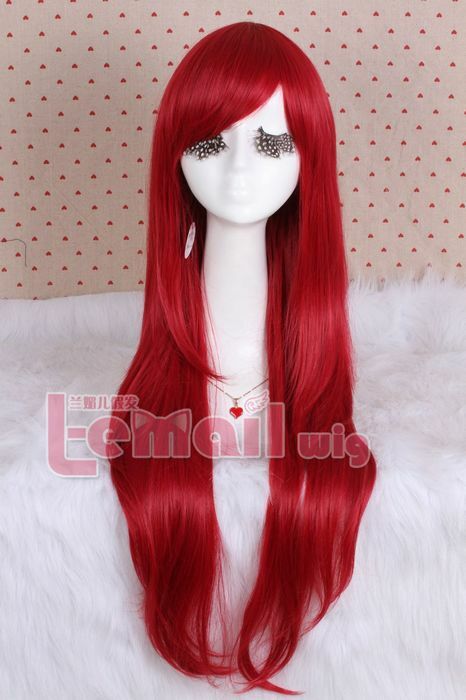 I am going to do the review of the red one that I bought for Flaky, later I am going to do the review of my Mikasa wig. I received this item 40 days after buying it(I knew this online store is located in China Later, so it can be really understandable). A LOT OF TIME. I got desperate ; I thought I was going to receive NOTHING, but the wig came in perfect conditions. It is super soft that I was in love with the wig. 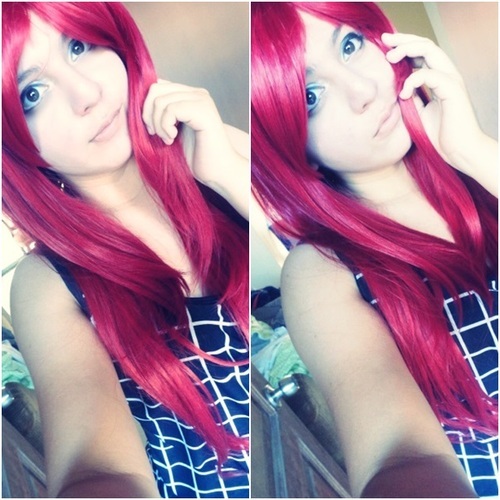 This entry was posted in Buy Cosplay Wigs, Wigs and tagged cheap wig, coaplay wigs, L-email wig review, wigs. ← Lemail Wig Reviews – Good News to Buyers! !